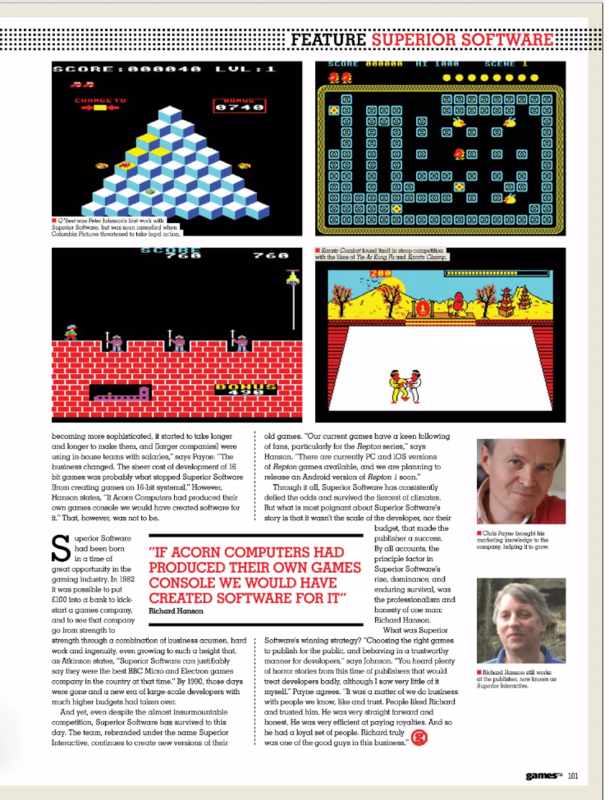 The following is a sample of a magazine article published by Imagine Publishing, a world leader in multimedia publishing, for GamesTM, their flagship publication for the gaming industry. 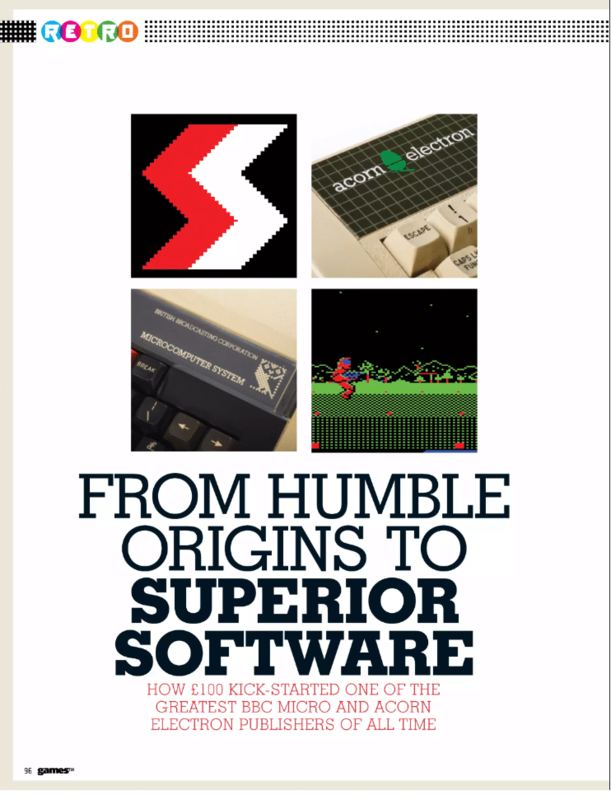 TITLE COPY: How £100 kick-started one of the greatest BBC Micro and Acorn Electron publishers of all time. 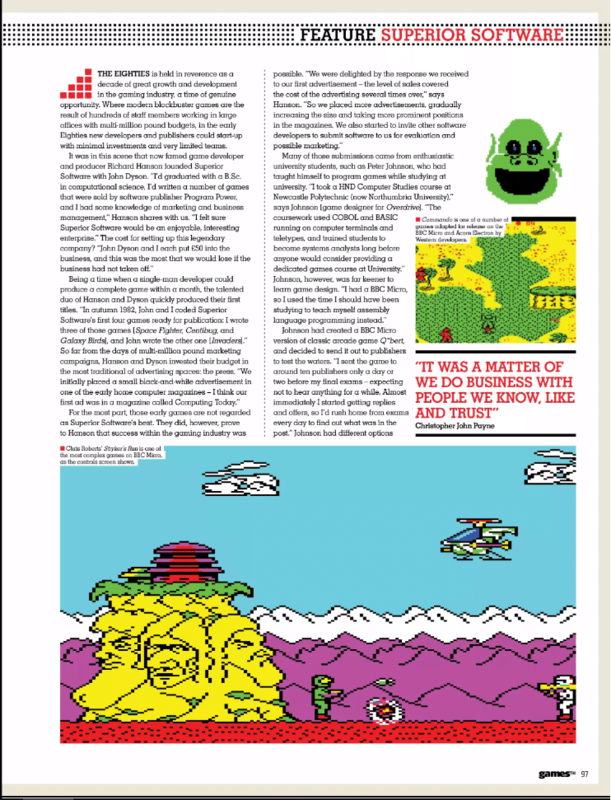 BODY COPY: The 1980s is held in reverence as a time of great growth and development in the gaming industry, a time of genuine opportunity. 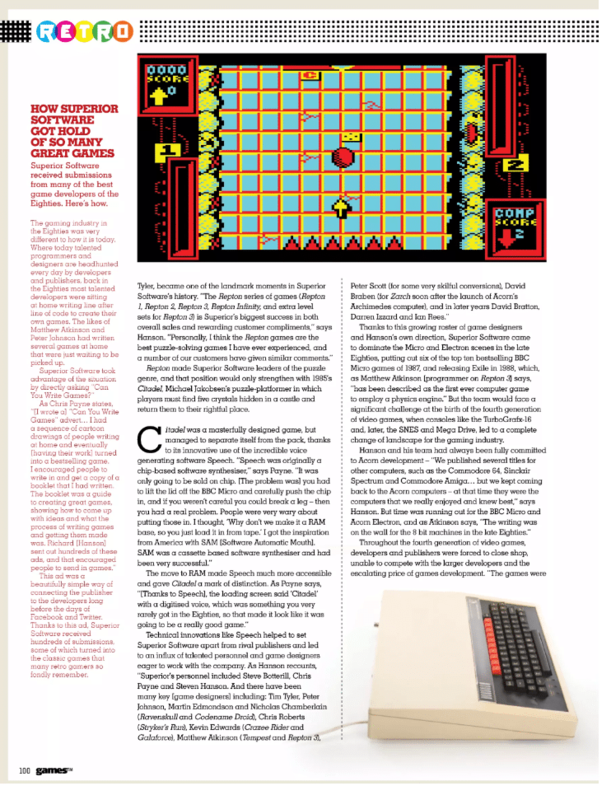 Where modern blockbuster games are the result of hundreds of staff working in large offices with multi-million pound budgets, in the early 80s new developers could start-up with minimal investments and very limited teams. 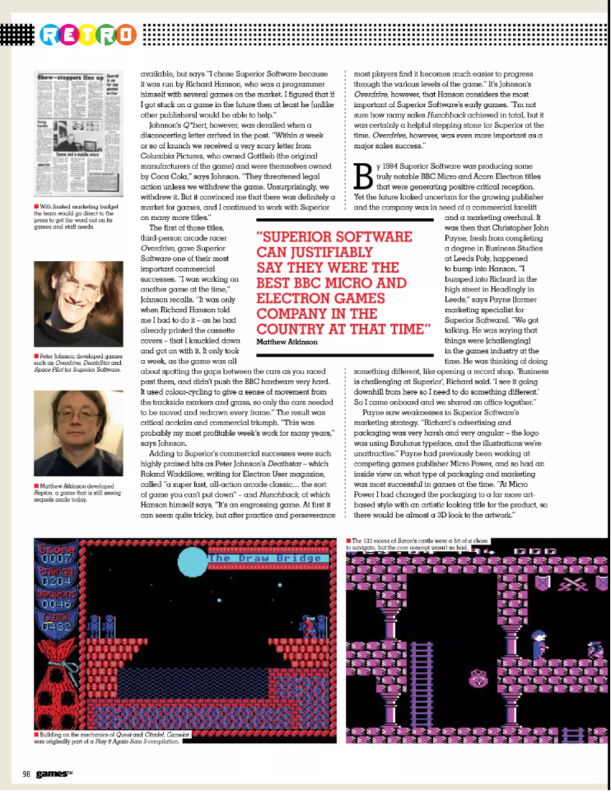 Article continues. 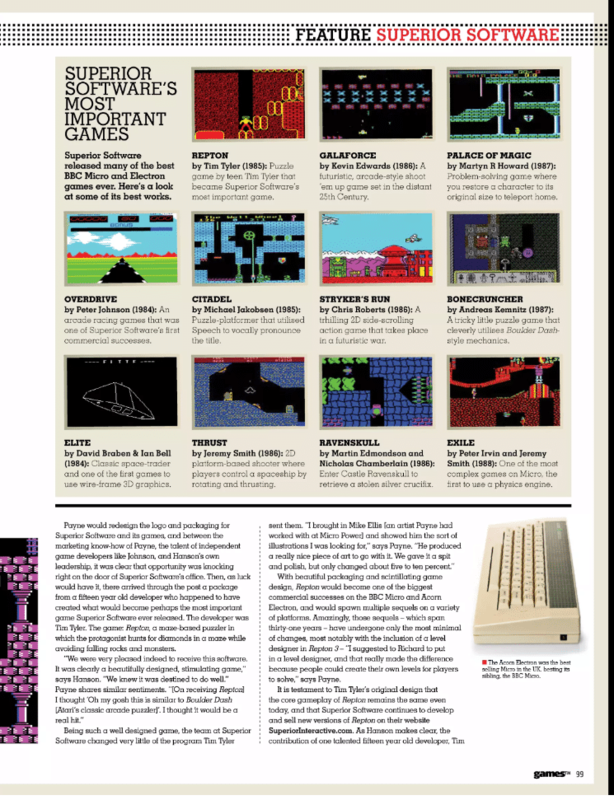 For the official publication please see GamesTM.